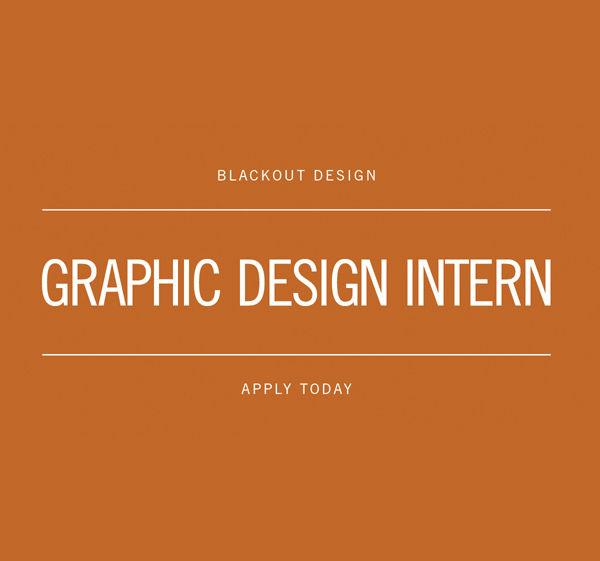 BlackOut Design is seeking talented, engaged and enthusiastic students to join our team as Graphic Design Interns. Click to learn more or to apply. X Hi! How are ya? Like what you see? Interested in starting a project with us? Just fill out the form below and we’ll get started!